Between the years 1870 and 1945 France and Germany fought three wars, each war escalating in destructive magnitude, political scope and geographic extent. The primary reason for these wars was strategic and political: a dynamic and increasingly powerful Germany expanding into the sphere of influence of a declining French empire. However, for either country to achieve its political aims it required an industry capable of producing and powering the tools of geopolitical expansion: ships, guns and railroads. Essential to this industry were coal and steel. The control of natural resources essential for war-making, specifically the coal and iron ore of the upper and lower Rhineland, was one of the primary aims of boths the wars and the peace settlements that followed each. Indeed, the it was the struggle for resources in the peace settlements that fueled further conflict. In this case study I will examine this conflict over war-making resources. I will also investigate the paradigm shift that occurred after World War II, when the establishment of the European Coal and Steel Community reflected a change in the way the two countries regarded natural resources and their relationship to national security. The German victory in 1871 and subsequent annexation of Lorraine and Alsace did more than just cripple France's industry. France was forced to recognize the importance of coal and iron production for producing the armaments that were the primary lever of geopolitical power. (Munro, 9) This put France in an economic and strategic conundrum. 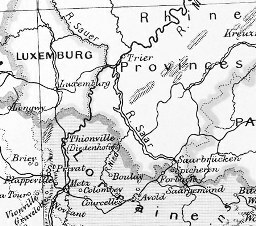 It still possessed great iron ore deposits in the area of Lorraine not annexed by Germany. However, due to a relative dearth of coal and inefficiencies in its metallurgic industry, France could not use all of the ore that it could mine. To buy coal, France needed money and its easiest way to get money was to sell its surplus iron ore. Germany, with a surplus of coal relative to iron despite the annexed resources of Lorraine, was the obvious customer, yet to export iron ore to Germany was to fuel Germany's war-making capabilities. (Soutou, 180-189) While a stagnating French economy fed the French population's revenge fever for the humiliating annexation of "French" territory, the French administrative and political classes were developing a solution for France's relative lack of coal. Germany took its revenge on France in May 1940, sweeping aside the French army and marching victoriously through Paris in a stunning repeat of its rapid victory of 1870-71. The following years of occupation were some of the darkest in French history. Heroic French resistance was tarnished by craven collaboration with the German occupiers. Germany re-annexed Alsace-Lorraine and exploited French resources to support the German war machine. What can we learn from the experience of France and Germany? The European Coal and Steel Community was the outcome of the practical consideration of how to achieve security through economic cooperation rather than a starry-eyed vision of utopian pan-European unity.The transformation in Franco-German relations from conflict over natural resources to cooperative trade of coal and steel reflects a parallel transformation in the way natural resources were viewed. The push of scarcity and the pull of surplus natural resources as a cause of war was replaced by the security of interdependent trade of these resources. In this way, the post-WWII Franco-German environment represents a conjunction, a period of extraordinary changes “that define new contexts of human behavior. Conjunctions locate the standard social context for years to follow and set into place structures and patterns of behavior that echo through many generations.”(Lee, 2005) While the primary cause of conflict between France and Germany was geopolitical, the solution lay in resolving the issue of natural resource competition. The ECSC was thus a first step into a new world. What does the experience of France and Germany provide in the way of lessons for other conflicts? Competition over natural resources, especially strategic resources vital to war-making such as oil, continues today. Wars in the Persian Gulf, the conflict over the Spratly Islands and to some degree the Falklands/Malvinas conflict fall into this category. In addition, conflict over resources deemed vital to national survival, particulary water, have already occurred and threaten to be the next great cause of warfare. The experience of the French and German case does not provide outright answers or a blueprint for the resolution or prevention of future conflicts. However it does provide interesting questions: is it necessary to fight devestating wars in order to achieve a "conjunction"? Is economic interdependence sufficient insurance against recidivism? Is an outside threat necessary to impel actors to seek accomodation? One thing is certain. With the increased deadliness of warfare, future actors in conflicts have a much smaller window of opportunity and a much greater need to learn quickly the lessons that it took France and Germany 75 years of conflict to learn. Although the conflict over the territory goes back to the conquests of Louis XIV and Napoleon, only with the industrial revolution does the struggle for coal and iron resources truly begin to play a major role. I choose the date of the signing of the Paris Treaty establishing the European Coal and Steel Community, signed in April 1951 as the "end" of the conflict, although it is not quite as neat as that. The Community did not become operational until August 1952. The status of the Saar was not resolved until 1957, with France exploiting the Saar's coal in the meantime. Few contemporary observers believed that the ECSC was the panacea for Franco-German conflict and it took years and many supporting events, including the establishment of the European Economic Community in 1957 to solidify the arrangement. Again, the need to choose particular dates for a beginning and end of a conflict reveals the ambiguity of the term conflict. Does conflict start in the hearts and minds of people or with a declaration of war? Does it end with a peace treaty or with the death of the generation involved? Does it have to be martial or could commercial takeover of another country's industry qualify? Three interstate wars, with intervening periods of occupation involving small scale resistance, both violent (sabotage, assassination) and non-violent (strikes, civil disobedience). While the Franco-Prussian War was limited to France and Germany (Prussia), the two world wars included combatants and theaters of operations far removed from the Ruhr/Saar/Lorraine. I do not claim that the struggle for the natural resources of the Ruhr/Saar/Lorraine was the sole or even primary cause of the two world wars. However, competition between France and Germany for control of these areas played a major role, especially in post-war settlements and inter-war tensions. Total killed: 58 million people in three wars spanning 75 years. Of these some 9 million were French or German. Concluded in five months time and fought before the introduction of the machine gun, the Franco-Prussian war was not highly lethal. The higher French death toll is due in part to the large number of French prisoners taken by the Prussians. To soldier and civilian alike, the war’s primary killer was disease; ill-fed, poorly accommodated prisoners were especially vulnerable. Outbreaks of typhus and typhoid fever as well as dysentery accounted for approximately half of the war’s fatalities. During World War I the offensive military doctrines inculcated by the Franco-Prussian War threw masses of infantry against the nearly impregnable defenses of trenches, machine guns and massed heavy artillery. The result was the most terrible slaughter in a European war for over 300 years. 50% of those who served became either prisoner, wounded or killed. In France and Germany over 80% of men age 15-49 were mobilized for the war. By war’s end, ¾ of these young Frenchmen and ½ of the Germans would be dead, wounded, missing or prisoner. Civilian deaths were also high during World War I. However the above figure of 6.3 million civilian deaths includes an estimated 2 million in the Armenian genocide and the large numbers of civilians who died due to famine and disease in Russia and the Balkans. In Western Europe, the war was concentrated in the rural areas of Belgium and northern France and in the mountains of Austria/Italy, generally avoiding the bombardment or siege of cities and high loss of civilian lives. 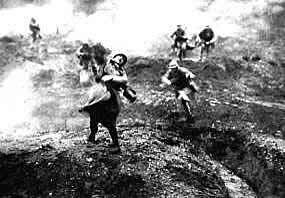 The carnage of World War I traumatized a generation of Europeans to the extent that many believed that war could never again happen in Europe. However, the ambiguous ending of the war in the West and the harsh conditions of the peace treaty that followed set the stage for the most deadly war yet experienced by mankind. Advances in armored vehicle technology and doctrine combined with air power to overcome the static trench warfare of World War I. World War II was a global war of mobility and high lethality, “total” war that targeted civilian populations for bombardment and extermination. Advances in technology permitted soldiers to fight in previously unimaginable conditions amid a maelstrom of high explosive. The societies and economies of the world’s greatest powers were mobilized for warfare, while the citizens of occupied nations resisted in the shadows. About 8% of the German population was killed in the war; soldiers died on the battlefield and in prisoner of war camps, while most civilians were killed by the incessant allied aerial bombardment of German cities. Even though France was quickly out and belatedly back into the war, it suffered almost twice as many dead as the United States. About 1.5% of the French population died on the battlefield, in bombardments or in concentration and prisoner of war camps. Among other nations Greece lost 7% of its people, the USSR 10% and Poland 14%, including approximately 5 million Polish Jews. The massive death toll, horrible depravity of the concentration camps and ominous threat of nuclear destruction played a large part in convincing Europeans to strive to transcend interests based on militant nationalism and to seek cooperative solutions to problems. This would contribute to the “conjunction” that brought about the eventual resolution of Franco-German competition over the war-making resources of the Ruhr/Saar/Lorraine. 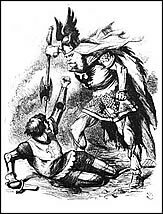 Compromise - Both actors, France and Germany, experienced victory and defeat in the wars that they fought and in the political wrangling between the wars. In my interpretation, the conflict over war-making natural resources was not resolved until the formation and sucessful functioning of the European Coal and Steel Community. Audoin-Rouzeau, Stéphane and Jean-Jacques Becker, eds. Encylopédie de la Grande Guerre 1914-1918 : Histoire et Culture. Paris : Bayard, 2004. Berglund, Abraham. "The Iron-ore Problem of Lorraine.” The Quarterly Journal of Economics, 33, 3 (May 1919): 531-554. Dietrich, John. The Morgenthau Plan: Soviet Influence on American Postwar Policy. New York: Algora Publishing, 2002. Dinan, Desmond. Europe Recast: A History of the European UnionBoulder, CO: Lynne Rienner Publishers, 2004. Durand, Yves. Histoire de la Deuxième Guerre Mondiale. Paris : Éditions Complexe, 1997. Ellis, John and Michael Cox. The World War I Databook: The Essential Facts and Figures for all the Combatants. London: Aurum Press, 1993. European Union website, accessed 28 July, 2005. http://europa.eu.int. Gillingham, John. Industry and Politics in the Third Reich: Ruhr Coal, Hitler and Europe. New York: Columbia University Press, 1985. Howard, Michael. The Franco-Prussian War. London: Routledge Press, 1961. Lee, James. Responding to the Future: Managing Environment and Conflict and Surviving the Global Tipping Point during a Time of Changing Nations and National Interests . Unpublished work, 2005. Munro, John. The Spread of Modern Industrialization in the 19th Century: The ‘Slow Industrialization’ of France, 1789 – 1914, accessed 19 June, 2003. http://www.economics.utoronto.ca. Real History website. Accessed 28 June 2005. http://www.fpp.co.uk/History/Stimson/Morgenthau_Plan.html. Roth, François. La Guerre de 70. Paris: Fayard, 1990. Soutou, Georges-Henri. L’Or et le Sang : Les Buts de Guerre Économiques de la Première Guerre Mondiale. Paris : Fayard, 1989. Snyder, Louis L. Louis L. Snyder’s Historical Guide to World War II. Westport, CT: Greenwood Press, 1982. 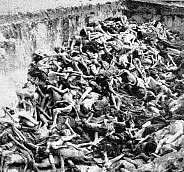 Mass Grave at Belsen Concentration Camp courtesy of the United States Holocaust Memorial Museum. Never forget. German Attack WW1, German Cemetary at Bethune, French Troops Marching WW1and French Attack WW1 courtesy of the Great War Primary Documents Archive. Robert Schuman, ECSC Coaltrain 1953 and EU Lighthouse courtesy of the Commission of the European Union Audio-Visual Services. 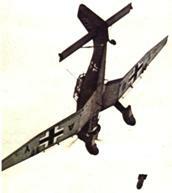 German Troops in Paris and German Stuka Divebomber courtesy of the United States Library of Congress. Prussia Slaying France courtesy of Spartacus Educational. German Coal Mine Works courtesy of Der-Foerderturm.